Plot Summary: Amidst a popular online role playing game in the near future, characters try to play out the goals they set for entertainment and passing of time. The World as the RPG is called is one with a setting of monsters, player characters and dungeons. Tsukasa is a detached and introverted character that has a number of mysteries about his player character. Many weird happenings seem to suround Tsukasa and his involvement in a rare item called ‘The Key Of The Twilight’ sparks Tsukasa’a meeting with different online characters and the befriending of their real life counterparts; All without ever meeting face to face in reality. What is strange about Tsukasa is that he can’t seem to log out of The World. 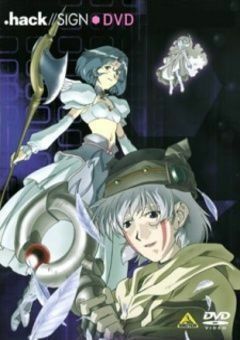 Subaru and Silver Knight of The Crimson Knights continue to look for proof of why Tsukasa can not log out or the existance of The Key Of The Twilight. Meanwhile Bear, Mimiru, and BT as Tsukasa’s friends try to help him understand who he really is and how he can return to the real world.